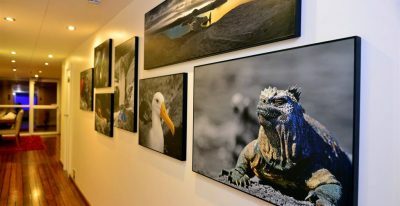 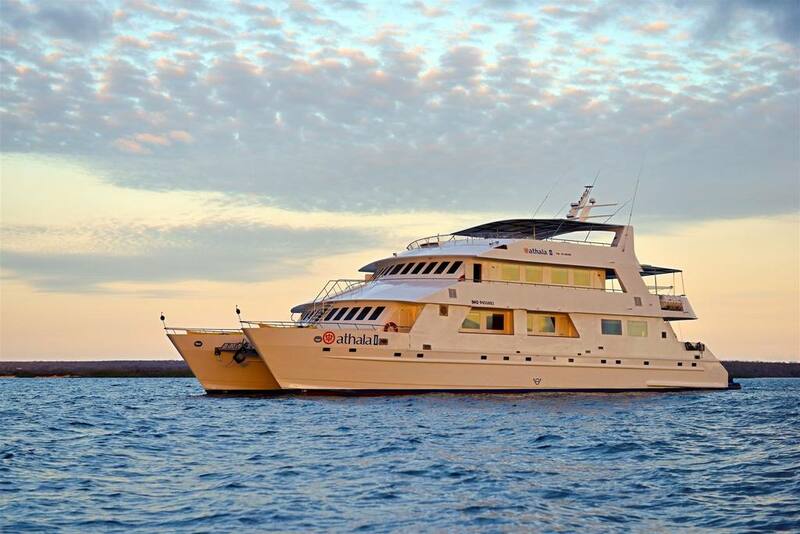 The Celebrity Xploration is a beautiful 16 passenger catamaran offering 8 day and 6 day cruises. 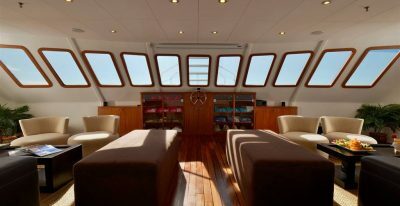 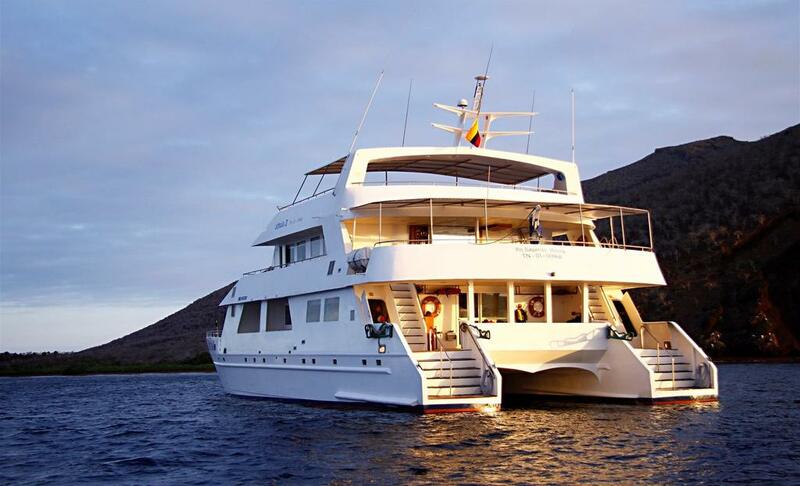 Constructed in 2007, this ship is one of the sleekest and most refined catamarans in the archipelago. 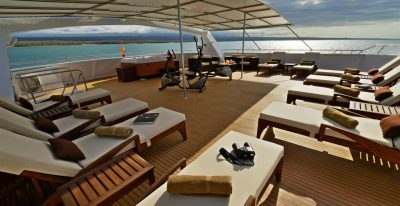 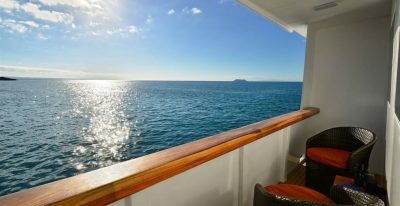 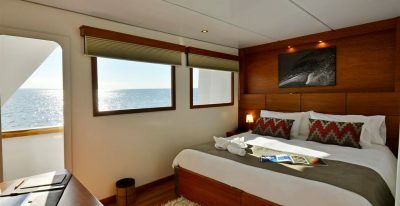 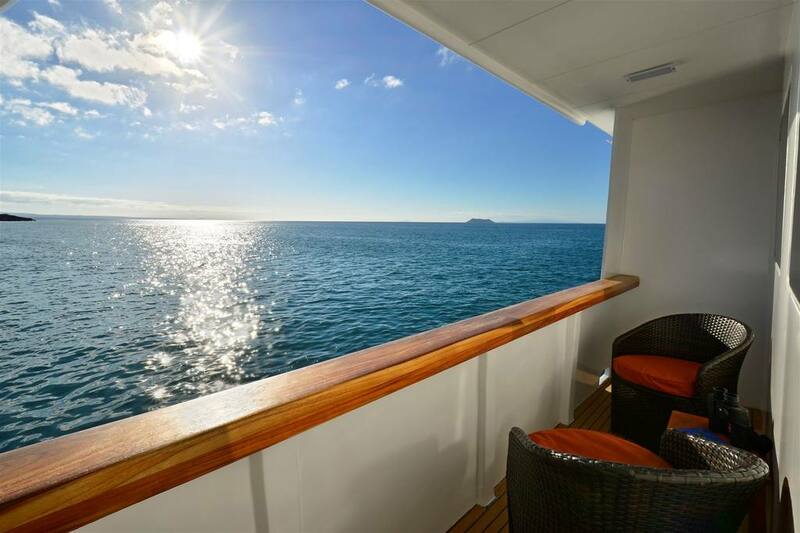 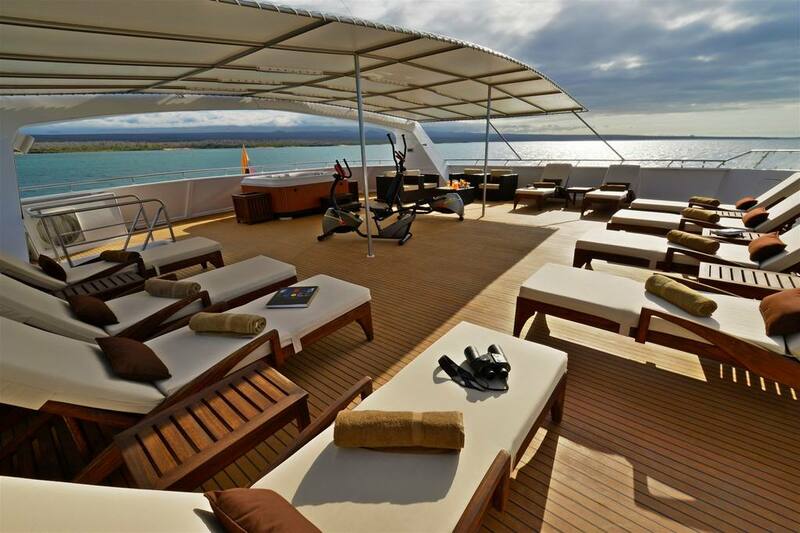 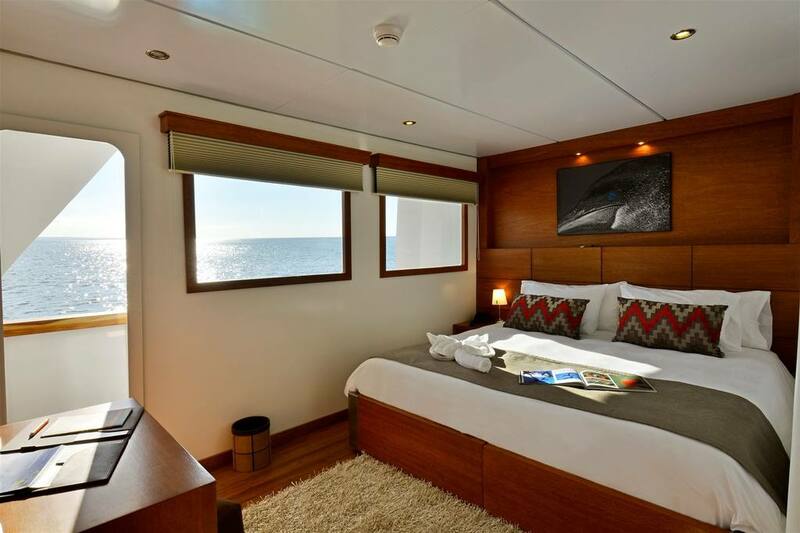 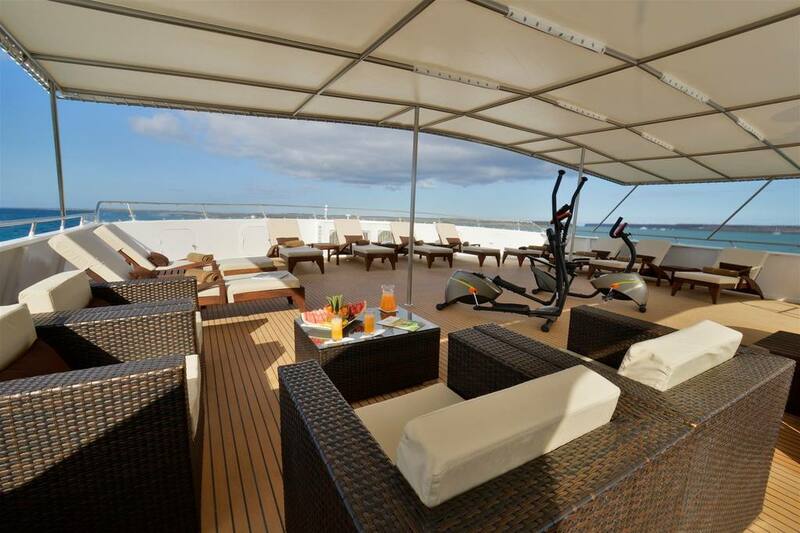 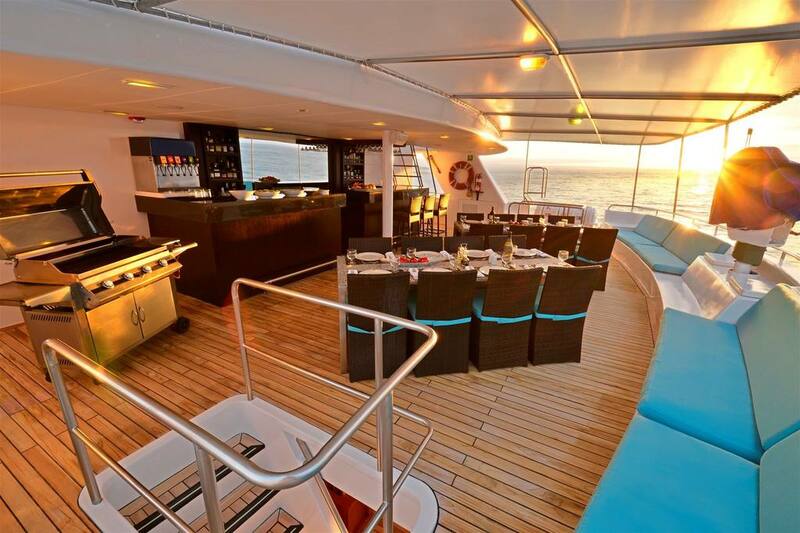 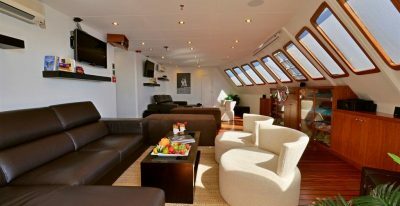 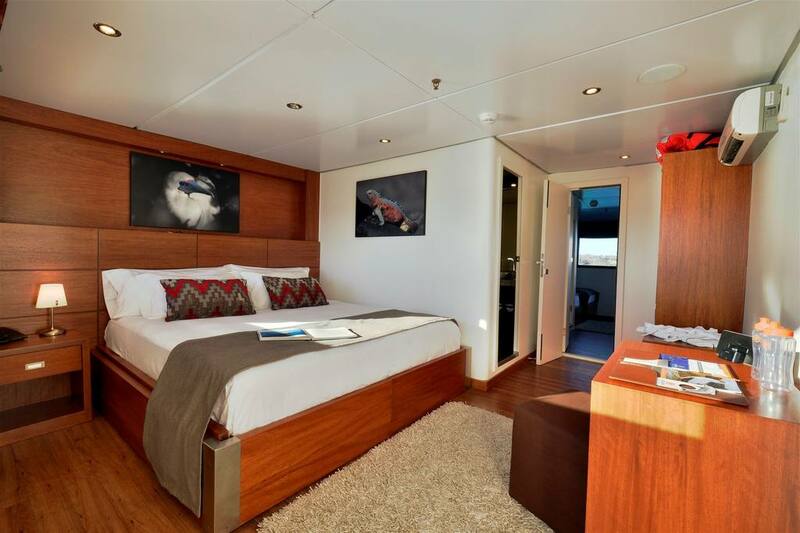 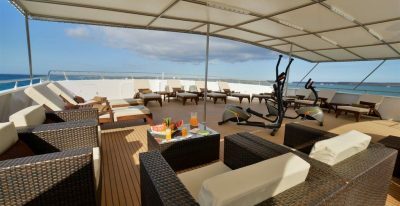 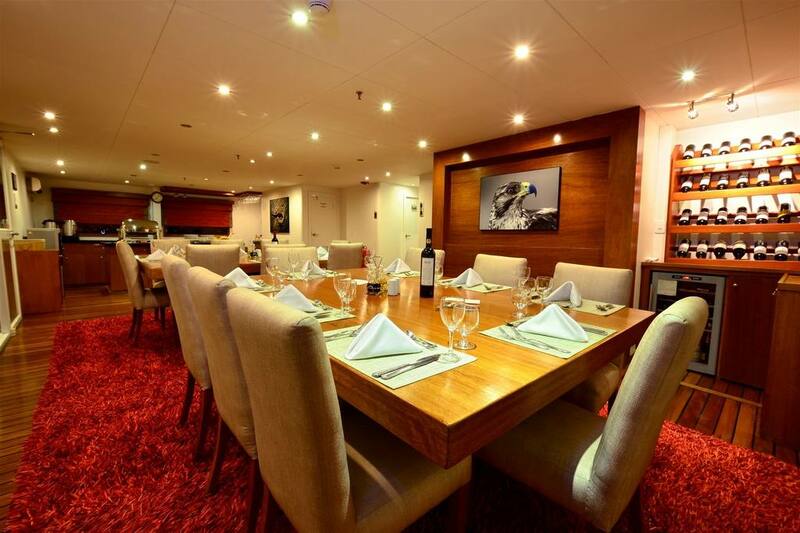 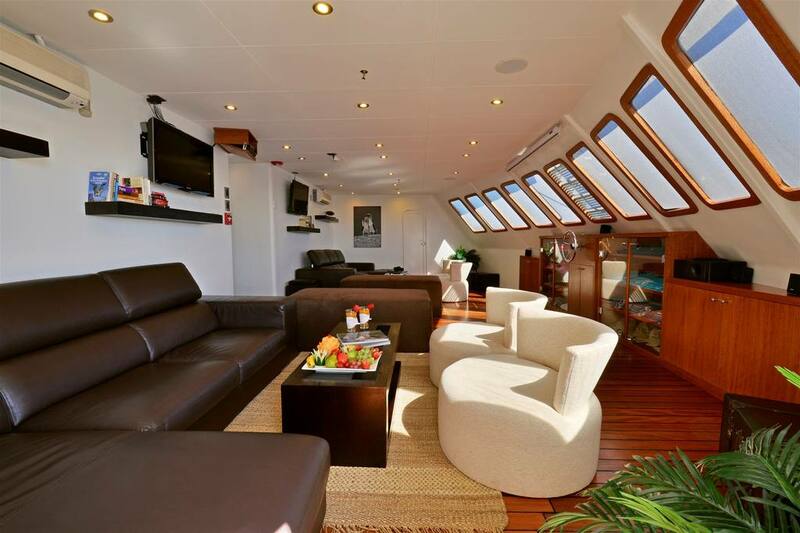 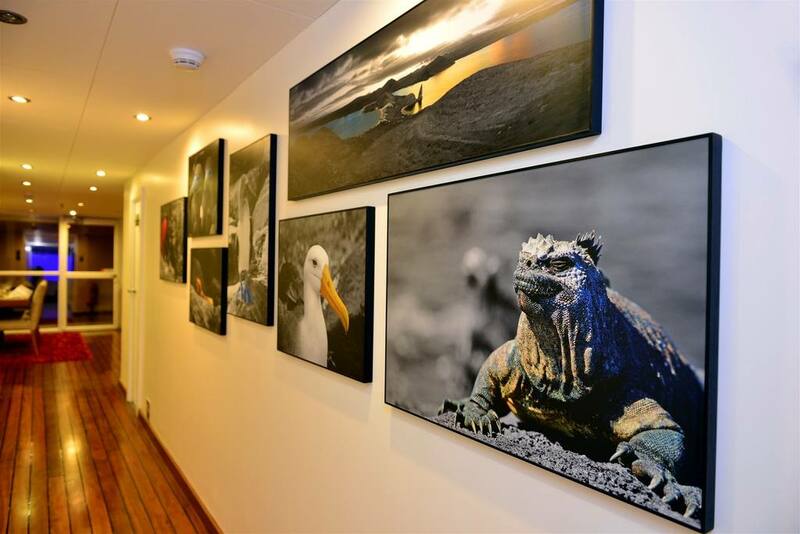 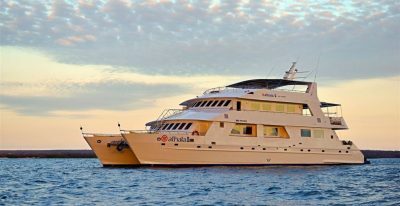 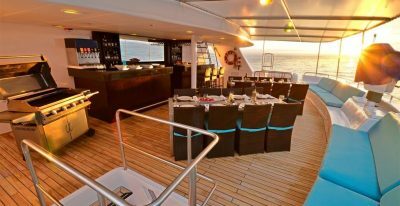 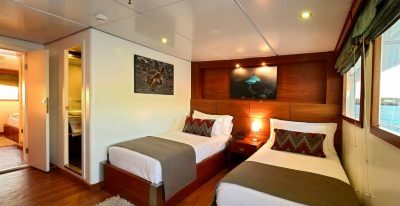 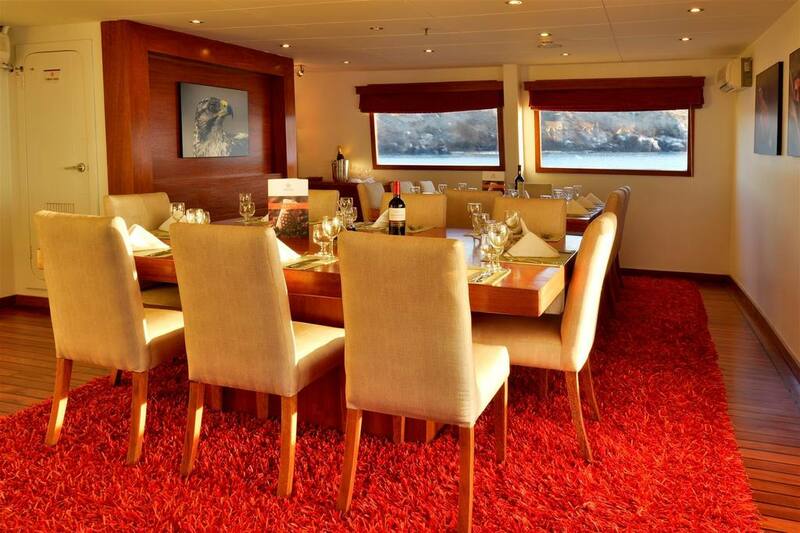 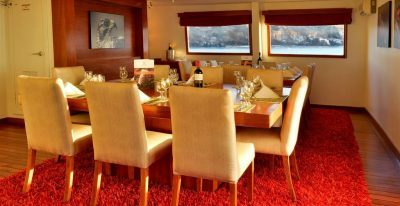 The vessel has 8 deluxe cabins, 4 on the upper deck and 4 on the lower deck. 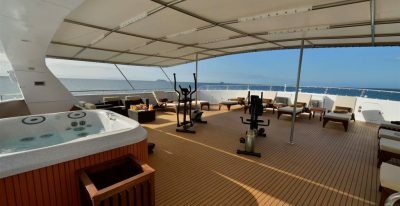 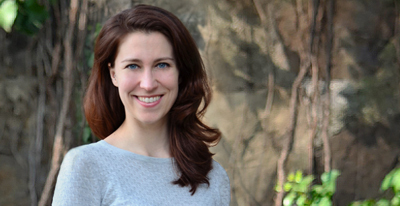 This is a great option that combines comfort and stability. 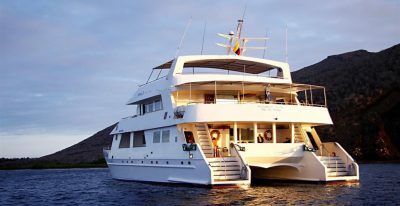 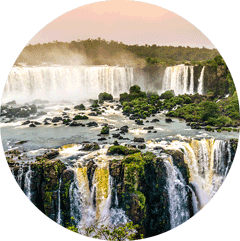 The Celebrity Xploration can hold 16 passengers in it's 8 staterooms. 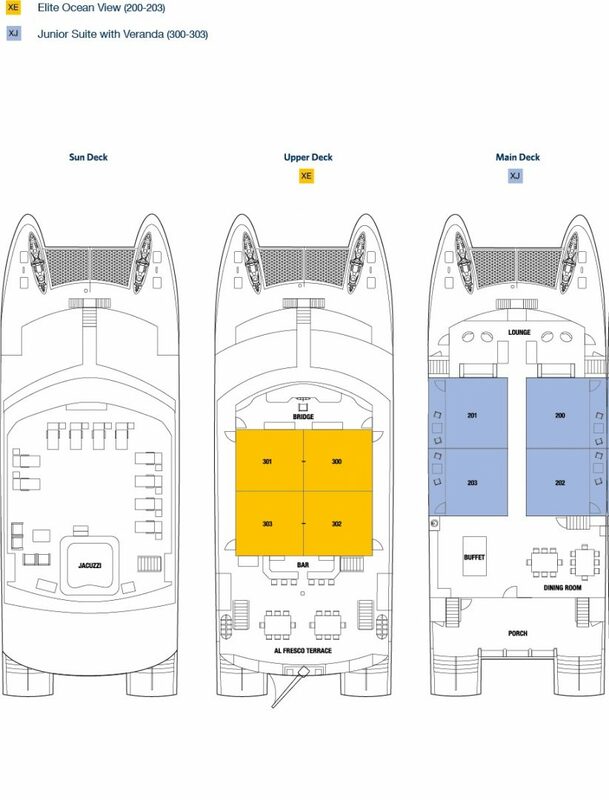 There are 4 on the upper deck and 4 on the main deck. 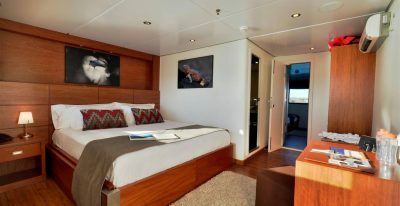 The staterooms on the main deck all have balconies. 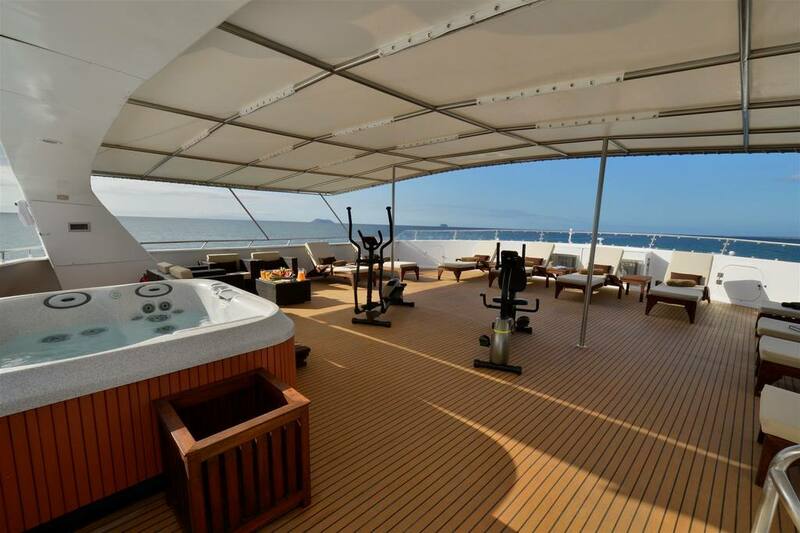 The top of the boat includes a sun deck. 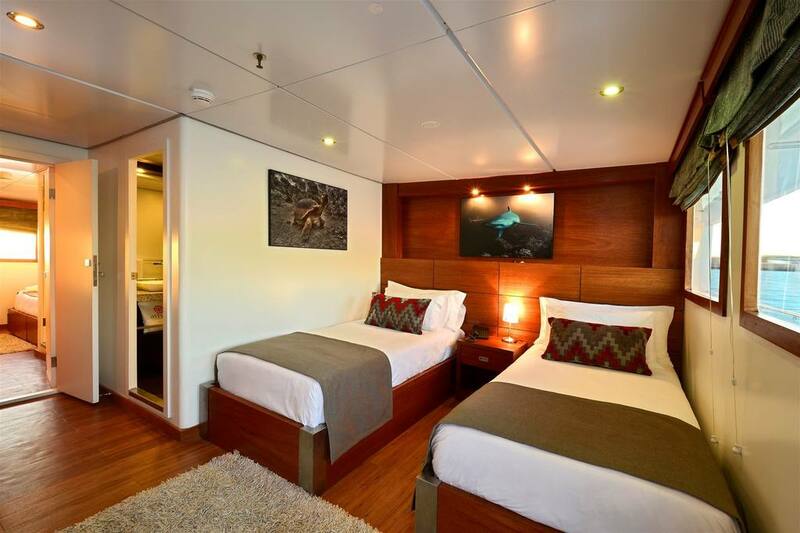 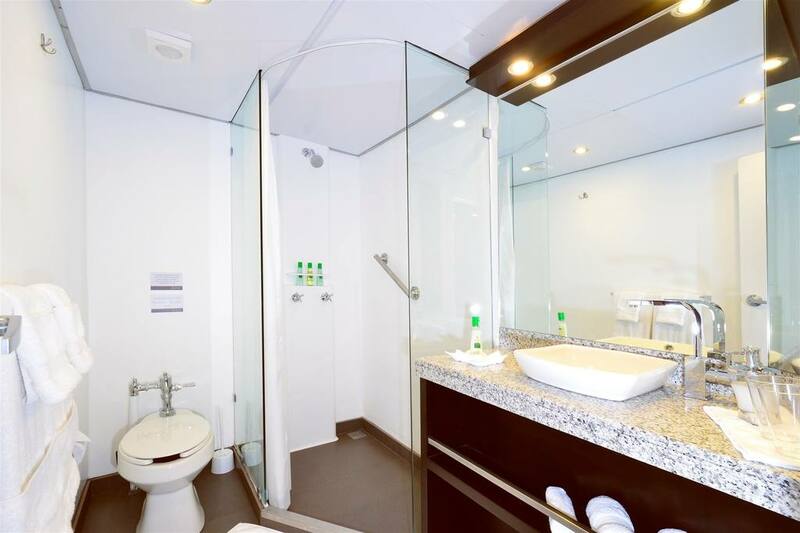 The Upper Deck cabins are ideal for families, since Cabins 5 & 6 and 7 & 8 have interconnecting doors. 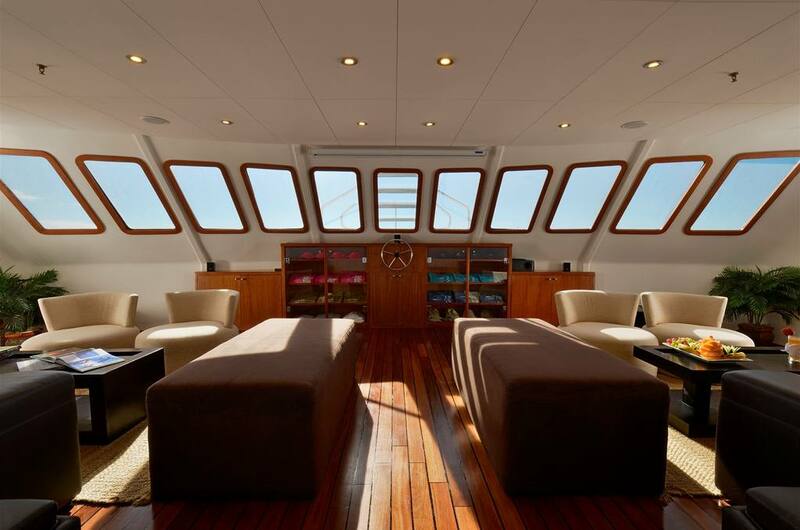 Length: 98 ft. / 30 mts. 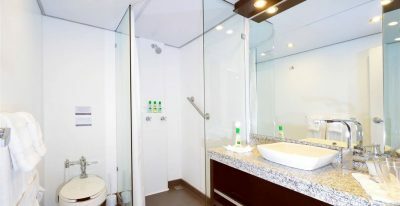 Beam: 37 ft. / 11 mts. 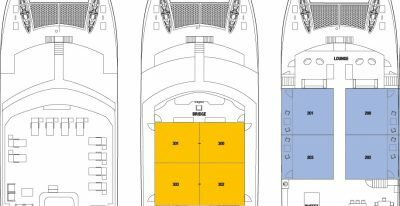 Draft: 4.6 ft. / 1.4 mts. 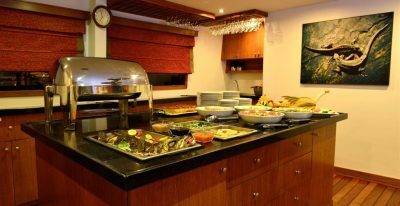 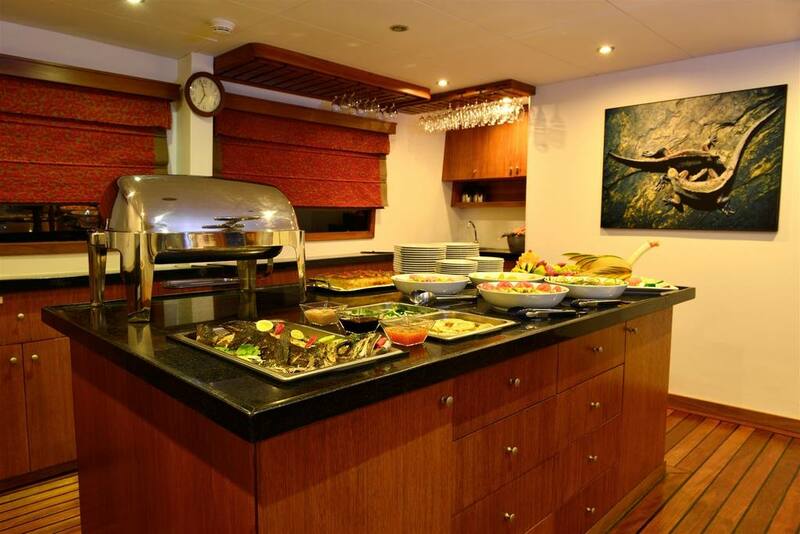 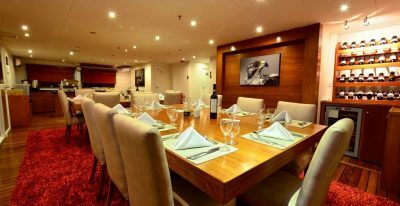 The Xploration was a wonderful vessel - bright, cheerful, extremely comfortable with a fantastic crew and excellent chef. 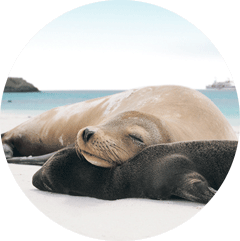 We knew instantly that we had made the right choice.